A video featuring extremists claiming to belong to the terrorist organization Islamic State (formerly known as ISIS or ISIL) has called for jihad in the Balkans. It appeared ahead of Pope Francis' visit Saturday to the Bosnian capital, Sarajevo. 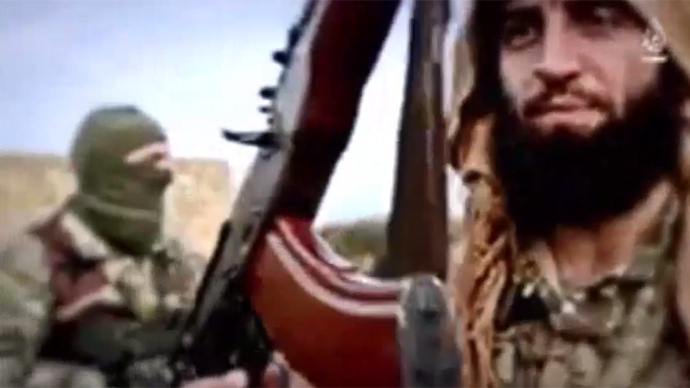 The 21-minute video carries the logo of a production company linked to Islamic State propaganda, AFP reported Friday. It shows a dozen jihadists who say they are from Albania, Bosnia and Kosovo and speak Bosnian and Albanian. It is not the first video calling for jihad in the Balkans, but its timing gives it more impact: it appeared as Pope Francis comes on a visit to the Bosnian capital. The video itself, however, made no reference to his visit, only stating that "horrible days" are ahead for "unbelievers" in the Balkans. The Pope's visit carries a message of peace to a country which has seen religious tensions lead to bloody conflict in the 1990s. He was greeted by about 100,000 people, and held a mass for 65,000 at Sarajevo's Olympic stadium on Saturday. Bosnian Muslims, who make up some 40 percent of the country's 3.8 million population, are mostly moderate. But about 200 of them have reportedly joined extremists in Iraq and Syria. About 50 of them have come back home since, intelligence services believe. Authorities have tried to curb Islamic extremism, adopting a law that will see jihadists and their recruiters face 20-year jail terms.